The 2018 Nebraska recruiting class finished with 24 players. 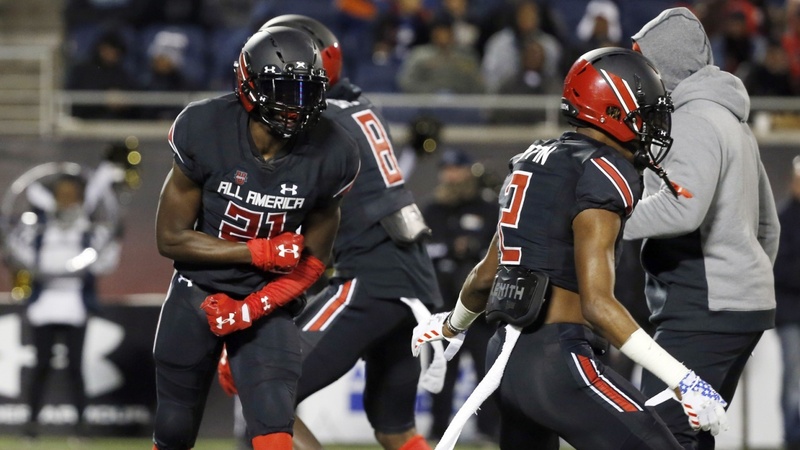 This staff has a history of playing young players and will surely want to get some of the guys they targeted as fits for their scheme on the field early and often. Who are the prospects that stand the best chance to be instant impact players? Let’s take a look. Winning the signature of Washington was one of the hardest and most important battles Scott Frost and his staff won on national signing day. The electric running back gives Nebraska a true game-changer at the position. Washington will see the field at running back, in the slot and potentially special teams. Jones would be considered a sleeper based on his ranking alone. However, he just fits so perfectly into a long line of guys that fit this scheme. Jones can play outside, inside or line up in the backfield. The coaching staff already has a great idea of when and how they want to utilize his talents as a versatile runner and pass catcher. Honas is a virtual lock to start at one of the middle linebacker positions this season. He was handpicked by inside linebackers coach Barrett Ruud as a must-have linebacker. It was also a major bonus to beat out Iowa and Wisconsin for the hard-hitter. Honas’ instincts, tackling ability and work ethic will make him an instant fan favorite as well. In a perfect world, Tannor would take a year to redshirt to get bigger and stronger. His natural pass rushing ability will make him hard to keep off the field early. His skill set is one that is sorely lacking on the current roster so turning him loose on Big Ten quarterbacks may be just what the Huskers need during his freshman season. Already on campus as a mid-year junior college transfer, Bell has earned a good reputation as a tireless worker in the weight room. In addition, his talents as a running back make him a favorite to be the starting running back for Nebraska in 2018. His versatility, paired with Washington's ability, could be a match-up nightmare for opposing defenses. It has to be mentioned that Martinez is worthy of inclusion on this list. Martinez will get every opportunity to compete for the starting job as a true freshman. Being on campus already as an early enrollee helps his case. Questions remain about him being able to handle Big Ten football after a full year off, but don’t bet against the signal-caller from California.